About meDemocracy Unlimited of Humboldt County (DUHC) educates citizens about the illegitimate seizure of our authority to govern ourselves. We design and implement grassroots strategies that exercise democratic power over corporations and governments. 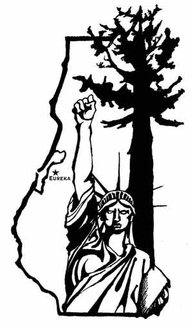 We seek to create a truly democratic society by provoking a non-violent popular uprising against corporate rule in Humboldt County that can serve as a model for other communities across the United States. About my libraryDUHC's library is available for use to anyone in Humboldt County who is interested. Use is free for DUHC members; non-members are expected to pay a small fee. For more info about DUHC or if you're interested in reading something we have, email us at info@duhc.org, or call (707) 269-0984.